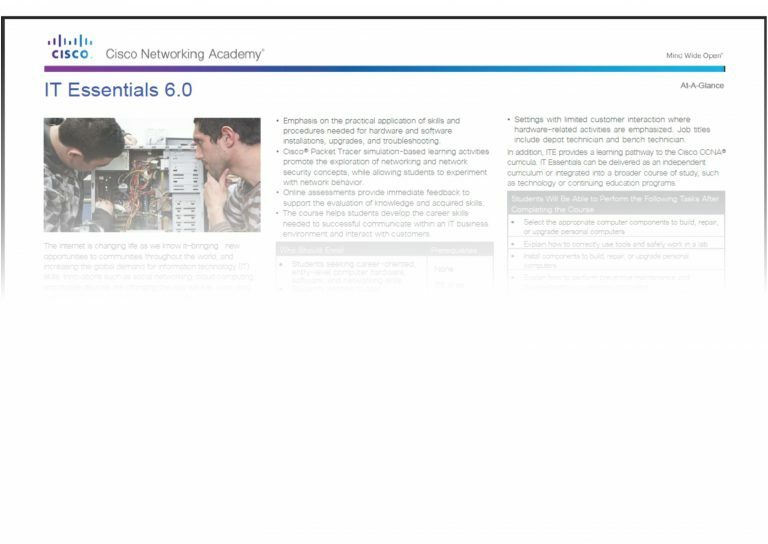 The Cisco Networking Academy® IT Essentials curriculum provides an introduction to the technical skills needed to help meet the growing demand for entry-level IT professionals. The IT Essentials (ITE) curriculum offers a hands-on, career-oriented learning experience with an emphasis on practical activities to help students develop fundamental computer and career skills. 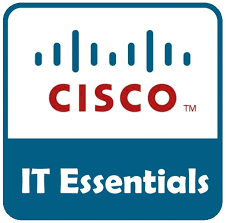 The Cisco IT Essentials (ITE) curriculum offers a hands-on, career-oriented learning experience with an emphasis on practical activities to help students develop fundamental computer and career skills. IT Essentials helps students prepare for entry-level IT career opportunities and the CompTIA A+ certification, which helps students differentiate themselves in the marketplace and advance their careers. 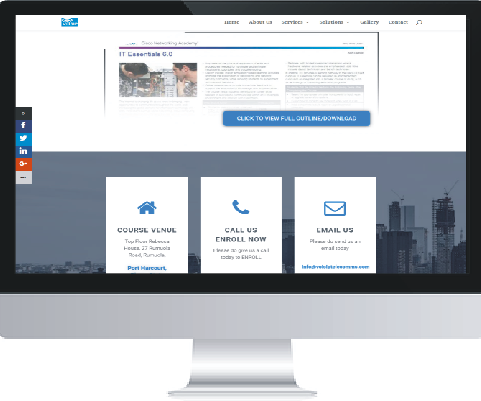 • A corporate or mobile environment with a high level of face-to-face client interaction. Job titles include enterprise technician, IT administrator, field service technician, and PC technician. • A remote-based work environment that emphasizes client interaction, client training, operating systems, and connectivity issues. Job titles include remote support technician, help desk technician or IT specialist. • Settings with limited customer interaction where hardware-related activities are emphasized. Job titles include depot technician and bench technician. In addition, ITE provides a learning pathway to the Cisco CCNA® curricula. IT Essentials can be delivered as an independent curriculum or integrated into a broader course of study, such as technology or continuing education programs. Students seeking career-oriented, entry-level computer hardware, software, and networking skills. Students wanting to gain fundamental computer and mobile device hardware, software configuration and troubleshooting skills.